Home » Press » Archives » Radio » Radio Archive » BBC WM: New Year, New Job! 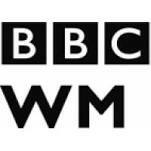 BBC WM: New Year, New Job! Managing Director of Personal Career Management Corinne Mills and Jane Garrard (Manager of our Birmingham office) talks to BBC Radio West Midlands Tuesday 25th Jan 2011 at 11:00am – Kick start your career in 2011!